Vancouver Canucks relax at The West Coast Fishing Club before community tour. 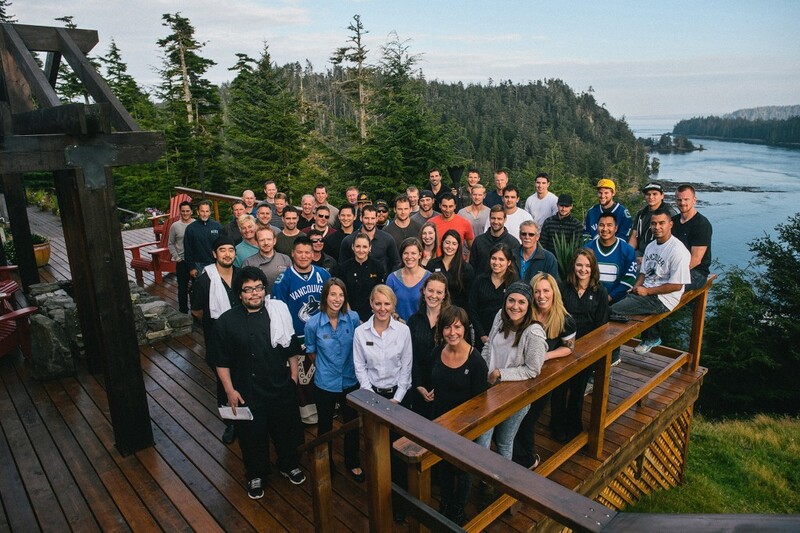 As part of their first-ever community tour of the North Pacific coast, the entire roster of the Vancouver Canucks players and coaches spent three days of distraction-free team bonding and outstanding late-season fishing in September 2013 at The Clubhouse. The trip was arranged by The West Coast Fishing Club Vice President, Brian Grange and Canucks General Manager Mike Gillis, who is no stranger to The Clubhouse and a regular in the annual Fishing For Kids Tournament. Mike recognized how a fishing adventure to Langara Island would have great potential for players and coaches to build strong working relationships in preparation for the long season ahead. After a memorable time for both the players and The Clubhouse’s all-star staff, Daniel and Henrik Sedin, Ryan Kesler, Clubhouse regular Dan Hamhuis and the rest of the roster helicoptered back to Masset, where they were greeted by “Go Canucks Go” chants from a crowd of more than 2,000 fans at Old Masset Community Hall.